Circor International has announced the launch of a new pump for use in industrial wastewater applications. According to a company announcement, the Allweiler OptiFix pump has been designed to the make the maintenance of industrial wastewater treatment applications faster, less frequent and simpler. The new product can apparently be disassembled in five steps, eliminating the need to dismantle it from piping to change the rotor, stator, joints or shaft seal. “Every unproductive second of maintenance, repair or upgrading of a progressing cavity pump counts toward total cost of ownership,” said Daniel Stirpe, VP/GM Industrial Pumps EMEA & APAC. 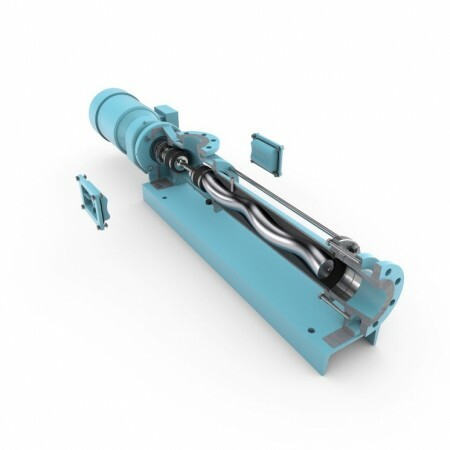 The company claims that its new progressive cavity pump can reduce mean time to repair intervals by up to 85%, as well as boost pump service life by up to 500% when combined with Circor’s ALLDUR stator solution.